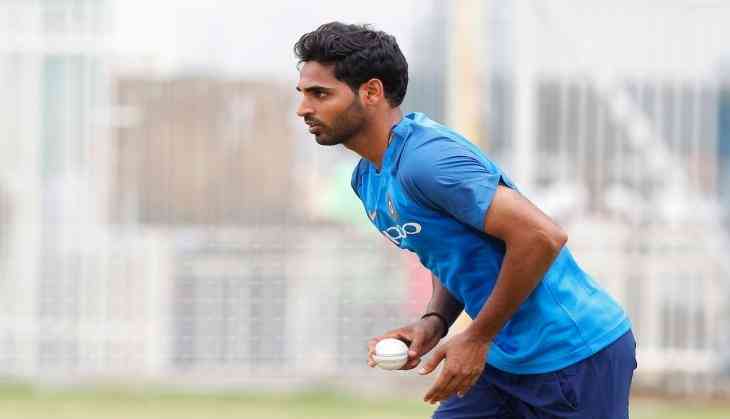 India pacer Bhuvneshwar Kumar ready to fly back to India A squad after the ODI series against England who was suffering from a lower back injury, was declared fully-fit by the cricket governing body. He was also included in India A squad and will feature in the game against South Africa A on Wednesday in Alur. Bhuvneshwar Kumar was initially ruled out of the first three Tests after the ODI series. It was learnt that he would undergo a rehab at the NCA in Bengaluru. Shreyas Iyer led India A Squad is playing quadrangular series against India ‘B’, South Africa ‘A’ and Australia ‘A’. BCCI wrote on its official Twitter handle that “Bhuvneshwar Kumar has been declared fit & will be a part of India A squad in the ongoing Quadrangular series. He will feature in the side's next fixture against South Africa A." Shreyas Iyer (captain), Prithvi Shaw, Ravikumar Samarth, Suryakumar Yadav, Hanuma Vihari, Nitish Rana, Sanju Samson, Mayank Markande, Krishnappa Gowtham, Krunal Pandya, Deepak Chahar, Mohammed Siraj, Shivam Mavi, K Khaleel Ahmed, Ambati Rayudu.